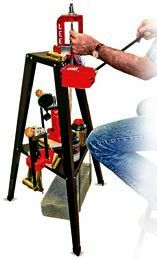 Introducing the Lee Reloading Stand, perfect for the reloader with limited working space, an overwhelmed workbench, or someone looking for solution to portable reloading needs. The sturdy powder coated steel stand places your press at the perfect counter stool or standing height of 39". 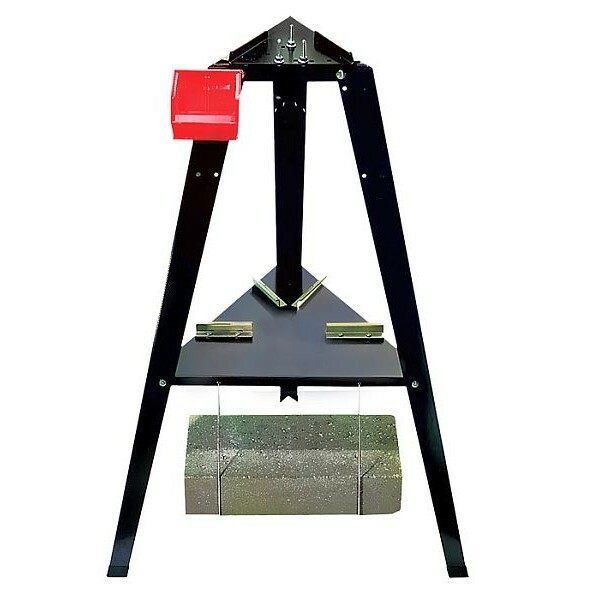 The 10 inch triangular steel top plate uses the Patented quick change Lee Bench Plate system. The stand is 26" wide by 24" deep so it does not require a lot of room. 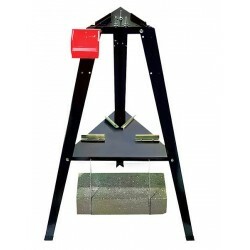 There’s more, the reloading stand includes a sturdy steel shelf with two bench plate receivers that will neatly and securely store your extra presses or mountable accessories. Included with the stand is one storage bin for component or tool storage, which clips onto the steel bin bracket provided with the stand. Each leg has eight mounting holes that allow you to accessorize your stand with a multitude of bins, shelves or accessory die racks. 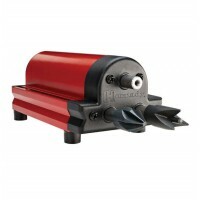 Includes drawing to customize and make your own extended work surface. 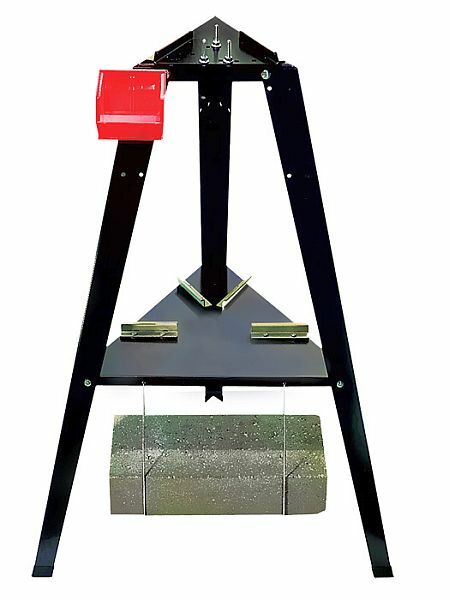 This reloading stand is perfect for the apartment-dweller or anyone who is limited on space. 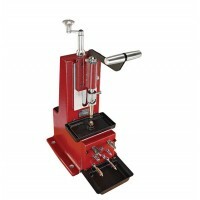 : Fits all Lee metallic presses (Fasteners for mounting one press are included). : Comes with 1 storage bin and bracket, the top plate, the bottom shelf, 1 drilled Steel Base Block and the complete fastener set for top plate and bottom shelf along with two steel concrete block hangers. NOTE: The press and concrete block shown in the picture are not included. Concrete block is necessary for safe, stable operation. 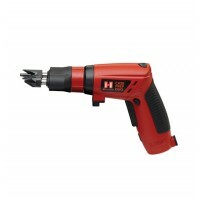 Obtain one at any building supply or home center. 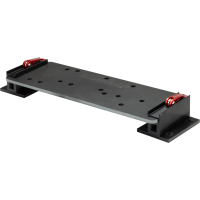 NEW Lee Die Rack Sturdy steel rack with fasteners designed for the Lee Reloading stand. Conveniently holds you..
NEW Lee Bin and Bracket Sturdy steel bracket and parts bin. Includes fasteners to allow direct mounting to the..